If you’re the kind of person who normally only reads these little potted summaries of Khalsa games, on this occasion, do yourself a favour and read the full thing by clicking on the link below. 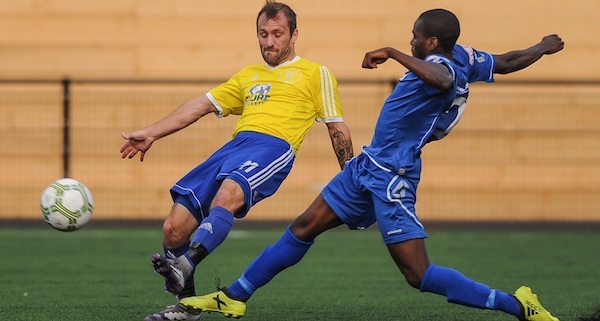 Khalsa came back from behind twice against Coventry Sphinx and hung on desperately with ten-men for almost two hours to earn a highly unlikely replay. This was a match spread over almost 140 minutes (thanks to endless stoppages) featuring four goals, one sending off, four goalkeepers and one last-minute goal disallowed. And this is before we talk about a linesman who looked like he was walking off part way through the first half and a last gasp tackle deep into extra time from Carlo Franco that would have made Bobby Moore proud. Sphinx took the lead on ten minutes through Leigh Phillips and things went from bad to worse on 25 minutes when Khalsa keeper Sam Arnold was dismissed for bringing down Chris Sterling. 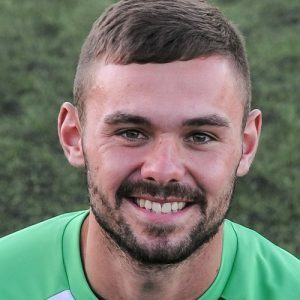 Lee Chilton equalised with a long range free-kick before half time as substitute Dale Reaney performed miracles to keep Sphinx at bay. The second half saw Sphinx’s keeper get injured and replaced by an outfield player who used to play in goal for Coventry City (keep up) and then retake the lead against the ten-men through Josh O’Grady before Khalsa replacement keeper Reaney suffered a serious injury and was reduced to standing on one leg (I said keep up). Mensah Kinch‘s equaliser took the game to extra time and the action continued at both ends to no avail, meaning both sides will have to do it all again on Tuesday at Khalsa (kick off 7.45pm).